Life can a be journey full of joy if you learn to look for it. 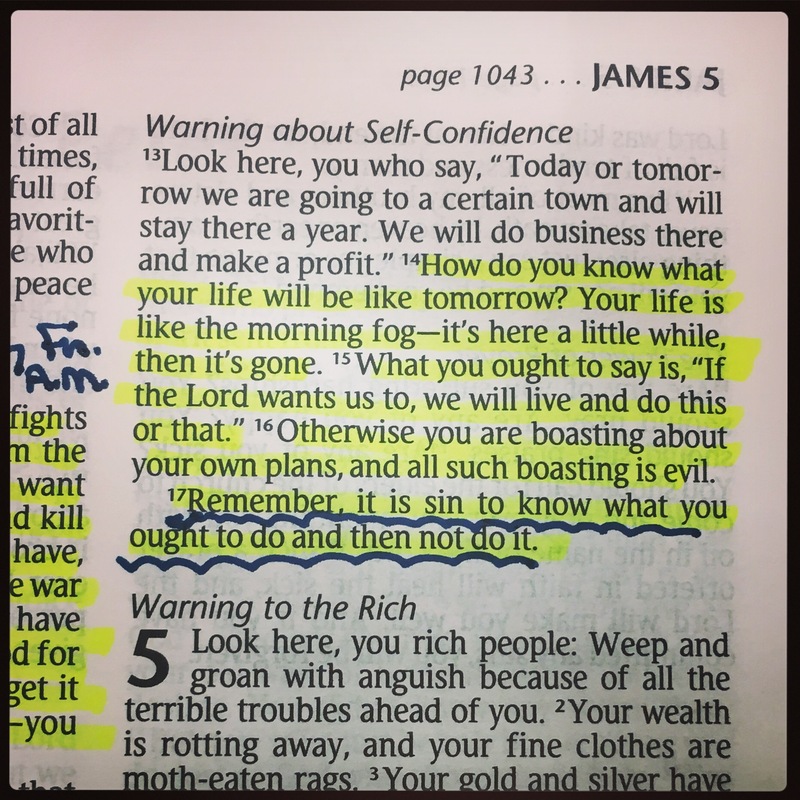 James 4:13-17. It’s always good to start your Friday off by having your toes stepped on. Our life is just like a fog in the grand scheme of things. We have such a brief amount of time to make a difference for Christ before we fade away. “We know what we ought to do” but often allow other things to get in the way. I am most guilty of this but I am so thankful for His grace and the “gentle” reminder to be about the Father’s business and not about Melody’s business. These verses remind me again of Psalm 37:23 and 24 … “The Lord directs the steps of the godly. He delights in every detail of their lives. Though they stumble, they will never fall, for the Lord holds them by the hand.” Psalms‬ ‭37:23-24‬ ‭(NLT‬‬). I am grateful for a Savior who cares about my steps, my stops and promises to be there when I stumble. Thank you for loving me just the way I am but for not letting me remain stagnant in my walk with You. Help me to appreciate the steps, the stops and the stumbles. Thank you for teaching me to fully rely on you and to not trust in my own plans. Thank you for reminding me that I am to be about your business. Please forgive me for where I have failed you. Thank you for your grace and mercy. I love you, Lord.